Mansion 88, commonly known as M88, is an online gaming site which caters selections of sportsbooks and other games. This site is considered as the Asian gaming arm of the renowned iPoker network group called the Mansion. They are also the known owners of the popular Casino.com site. M88 is owned and established by the Mansion Group in 2004. It is duly registered and licensed by the First Cagayan Leisure and Resort Corporation based in the Philippines. Since it is offered to most of the Asian players, the site supports several languages which include Chinese, Thai, Vietnamese, Indonesian, Korean, Khmer, Japanese, and English. The site also accepts major Asian currencies and other currencies which are readily available for their exchanges. The site is known as one of the famous gaming operators in the Southeast Asian region. It is more popular to most of its players coming in this region, particularly Japanese and Korean players. It is also known among other players in neighboring countries and regions. However, several countries including the Philippines are excluded on the site's jurisdictions. Other countries restricted from accessing the site include USA, Taiwan, Hong Kong, Singapore, France, Guyana, United Kingdom, Martinique and Reunion, and Guadeloupe. Mansion 88 is currently developed and managed by Playtech software which provides the site with numerous online and live games. Playtech also supports the sportsbook games the site offers to its players. These games include sports selection like Basketball, Tennis, Baseball, Ice Hockey, Soccer, Boxing, Cricket, Darts, Motor Racing, and Mixed Martial Arts. Moreover, Mansion 88 has recently partnered with Manchester City of the renowned English Premier League as the league's official and exclusive betting partner during the Premier League Champions. This enticed more players to openly participate on the sportsbooks hosted by the site. The site also offers other games which include varieties of table and card games, classic and interactive slot games, video poker, live games, specialty games, arcade games, lotteries, and their exclusive mobile gaming feature. However, the site's primary focus is the market of its live table games which include variants of Live Blackjack, Live Roulette, Live Sic Bo, and Live Baccarat games. Some of the site's famous Live Baccarat games include famous titles like Lucky Pairs, Super 6 Baccarat, Dragon Bonus, Progressive Baccarat, VIP Baccarat, Grand Dragon Tiger, Dragon Tiger, Mini Baccarat, In-running Baccarat, 7 Up Baccarat, Premium with Card Peek, and the classic Baccarat game. All these live tables games are accompanied with live dealers being broadcasted on the site. Players may also directly communicate with the dealers if there are any concerns or queries about the game. This feature also assures the security of the bets and credits placed by the players on each live game. Players are also given instructions on how to play the game before they start an actual table game. In terms of the site's bonuses and promotions, Mansion 88 offers the usual welcome or sing-up bonus given to its new players. This is a 20% welcome bonus upon their new players' initial deposits, which may amount up to $200 free. Regular players are also granted weekly cash back rebates depending on the total amount of losses the player acquired within the week. M88 also has an exclusive VIP Club wherein its members are given extra cash back offers, other rewards, and special incentives. VIP members are given no limits on the rebate offers they may receive. The site also supports different currencies as its players' deposit and wager credits. They accept currencies in US Dollars (USD), Euros (EUR), Indonesian Rupiah (IDR), Vietnamese Dong (VND), Japanese Yen (JPY), Chinese Yuan (RMB), Malaysian Ringgit (MYR), Thai Baht (THB), and Australian Dollars (AUD). This makes cashing out and depositing to the site easier and more convenient for the players. Mansion 88 also accepts account deposits through several bank transfer platforms such as Skrill, POLi Direct Debit, Western Union, NETeller, Quick Transfer, and International Bank Transfer. They also accept Direct Debit and Credit Card transactions from their players. Both cashout and deposit transactions in Mansion 88 readily accept different currencies from its players. Overall, this gaming site entices its Asian players exceptional through its wide array of game selections, exclusive live gaming feature, and impressive promotional offers. However, the site is only available for a limited number of Asian players despite it is developed and designed for the Asian region. Its limited bonuses and promotions for its players also affect the site's audience and players traffic. Nevertheless, M88's live gaming platforms, as well as its sportsbooks selections, have gained their popularity among the players. 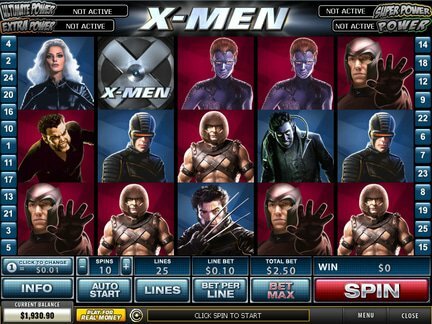 These games usually have huge amounts of jackpot prizes and rewards for its customers. They are also developed with high quality graphics and seamless gameplay for their player's incomparable gaming experience. Despite the negative features the site might have offered, M88 deserves a fair 3 out of 5 rating for its efforts to deliver the best live gaming experience to its players.